Ready. Set. Lead. A Half Marathon Approach to Educational Leadership – Lead. Learn. Grow. Like many educators, August is a month of both promise and foreboding. The latent future is both beautiful and frightening. This year, more than ever, I’ve worked to master those feelings that for some turn into a frenzied array of unconnected, well-intentioned preparations. This year I decided to take a half marathon approach to school leadership. I’ve grown to love running and run for pure recreation and I’m not an expert. I enjoy the feeling of the pavement under my feet and the accomplishment of conquering mile after mile. 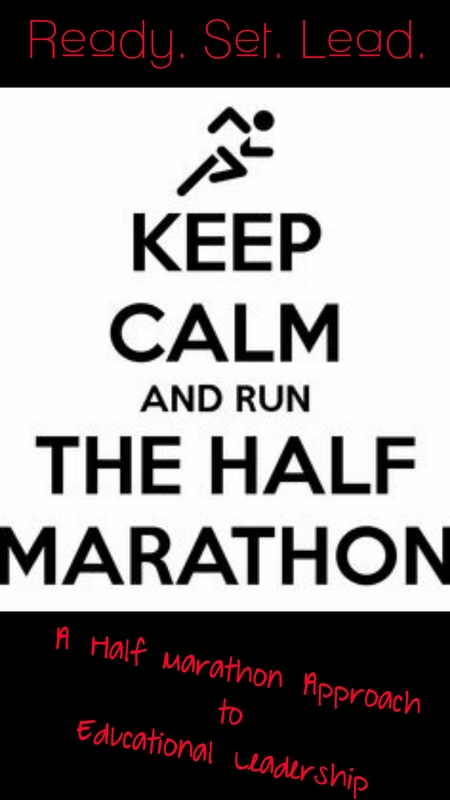 This October, I will complete my 3rd Half Marathon. Running 13.1 miles at first can seem like a daunting goal but it becomes more attainable with two key factors – a commitment and a plan. It’s hard to win a race you’re not in. Before training, before buying the new running gear, and before posting your first “I’m a runner now…eat my dust” selfie, you’ve got to commit. All those things without commitment can lead to failure and false starts. It was important for me to select a race and commit by actually registering for it. Half marathon registrations are not cheap usually ranging from the 70 – 100 dollar range depending on the race. After registration, for me, there was no turning back. This year, I commit to being a better leader through the use of several tools I learned through the Capturing Kids Hearts program. There are many ways to train for a half marathon but my experience favors the plan that incorporates a progression of runs, over time, that build up to 13.1 miles. Over the course of several months, the runner does several things. He or she builds stamina, speed, strength, and confidence. Week after week the training doesn’t get easier. The runner experiences growth and is able to go farther, push harder, and go faster than before. This year my training plan includes building better relationships, being a better communicator, and a focus on strategic leadership. Leslie is an educational leader in the Piedmont Triad region of North Carolina. She works with administrators, teachers, and students to promote academic growth for all students. She is passionate about education, leadership, and social justice. She has dedicated her life to learning and continuing to grow as an individual and contributor to her community and the world.